Aricent, a design and engineering company, announced a new collaboration with Amazon Web Services (AWS) to deliver an intelligent asset monitoring solution, which is part of the Aricent Internet of Things (IoT) Offerings portfolio. 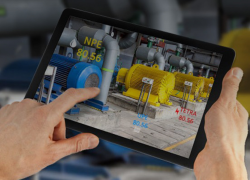 Building on the momentum from its March customer announcement, Comcast’s enterprise Internet of Things (IoT) service, machineQ, announced the addition of several customers spanning a broad range of industries and use cases – including asset tracking, utility and water metering, facilities management, and agriculture. With OnCare.Acoustic (formerly known as HyGuard), Voith supports hydropower plant operators in discovering potentially dangerous incidents by detecting sound anomalies, classifying them into warnings and alarms as well as allocating them to specific equipment, which enables the derivation of information for smarter recommendations and decisions with regard to maintenance and operations. IBM announced it has acquired Oniqua Holdings Pty Ltd., a global innovator in Maintenance Repair and Operations (MRO) Inventory Optimisation solutions and services focused on mining, oil & gas, transportation, utilities, manufacturing and other asset-intensive industries. The City of St. Gallen, Switzerland, has kicked-off a Smart Lighting project which is expected to save up to 65% of power thanks to the implementation of energy-efficient LED luminaires and an advanced remote control system. IoT (the Internet of Things) is the prime driver of digital transformation for the enterprise, and IDC predicts that IoT market spend will reach $1.4 trillion (€1.19 trillion) by 2021. That’s a big number – but it’s in contrast to the statistic that shows as many as a quarter of all companies quit transformation projects before completion. 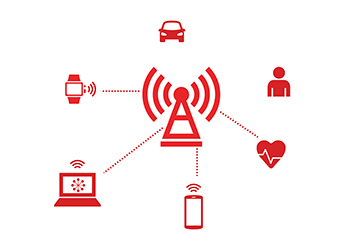 Cellular and non-cellular LPWA network connections will grow globally at a 53% CAGR until 2023, driven by market growth in smart meters and asset trackers, according to a new report from ABI Research, a market-foresight advisory firm providing strategic guidance on the most compelling transformative technologies. Inseego Corp. a provider in solutions for intelligent mobile enterprises, unveiled two new industrial-grade 4G Internet of Things (IoT) solutions supporting a spectrum of LTE technologies for a multitude of use cases. Berg Insight estimates that the global installed base of active airport asset tracking systems was less than 0.2 million units in 2017. Growing at a compound annual growth rate (CAGR) of 12.5%, the active installed base is estimated to reach close to 0.3 million units worldwide in 2022. Opengear a provider of solutions for secure, resilient network access and automation to critical IT infrastructure, reported that Virtual1, a UK network services wholesaler has selected Opengear’s Smart OOB™ platform to provide remote console connectivity across its growing UK network.